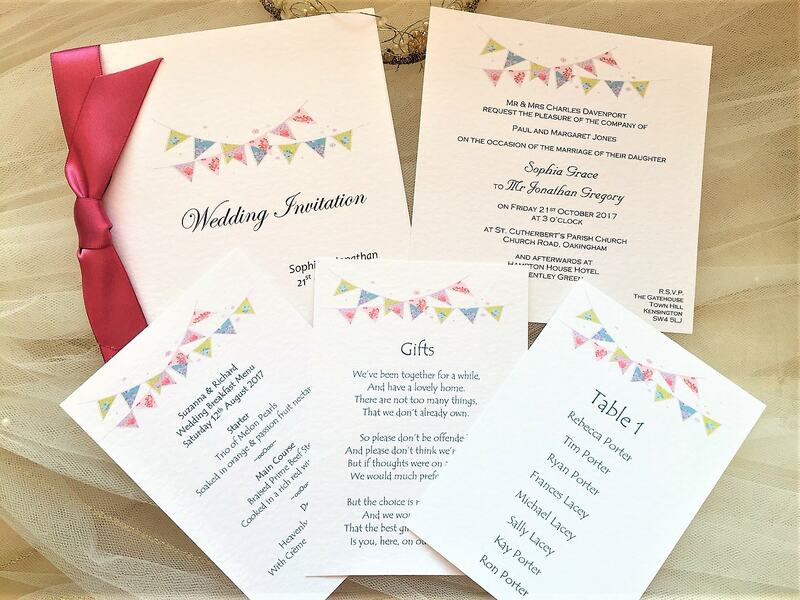 Summer Bunting Square Flat Wedding Invitations. 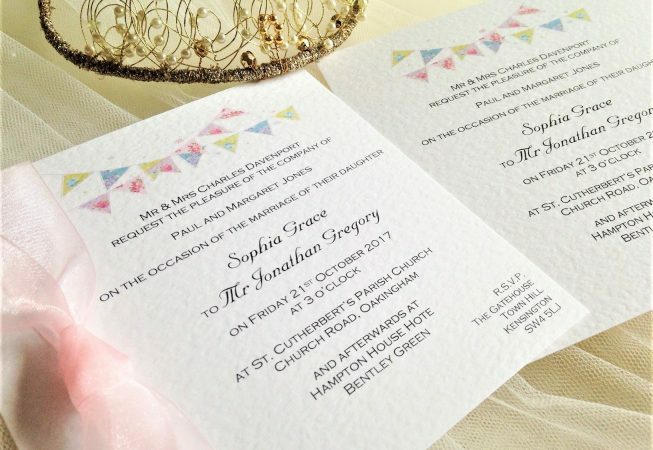 A beautiful personalised wedding invitation supplied on a thick heavy weight (270gsm) flat square hammered card available in white or ivory. 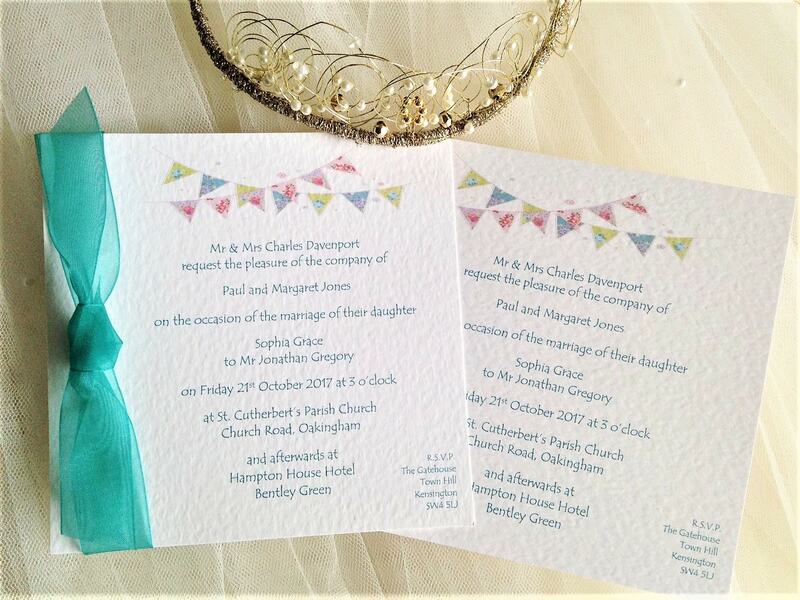 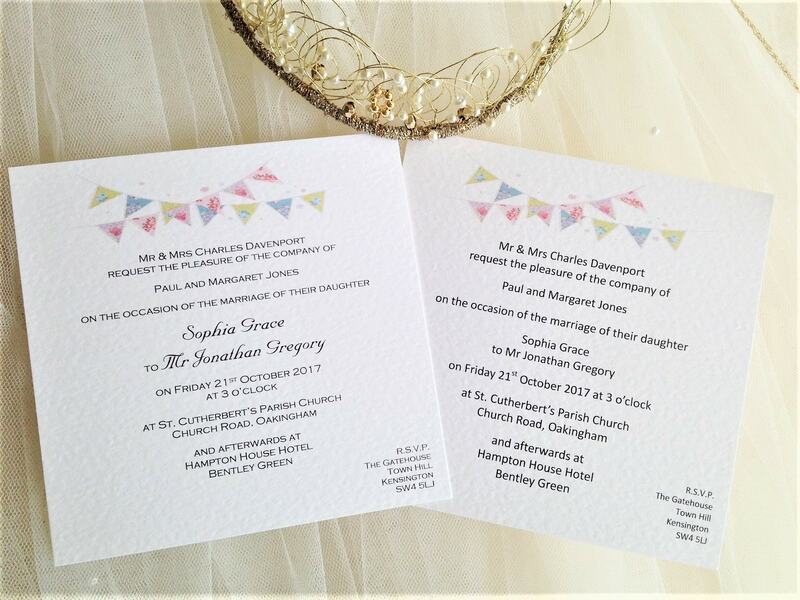 This wedding invitation is part of our Summer Bunting Wedding Stationery Range. 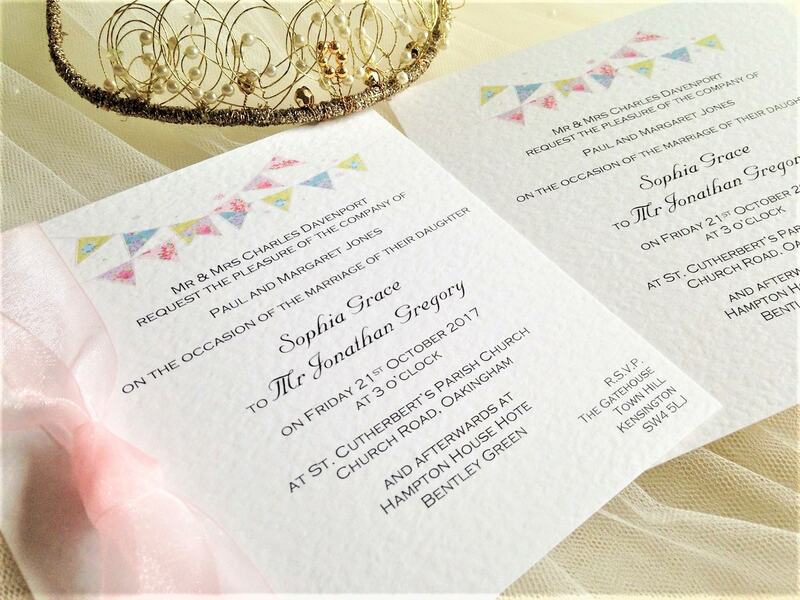 There is a good selection of font styles and ribbon colours in both satin and organza, to choose from and we can print your wedding invitations in any colour to match a colour scheme.